Cameras were hard to come by in Traverse City in 1943 during World War II. Fred Korb’s wife, Dorothy, finally found one in Muskegon and sent it to him in England. He made good use of it. Korb was featured in a three-day series on Battle of the Bulge veterans from Traverse City in 2010, available online at http://record-eagle.com/history. 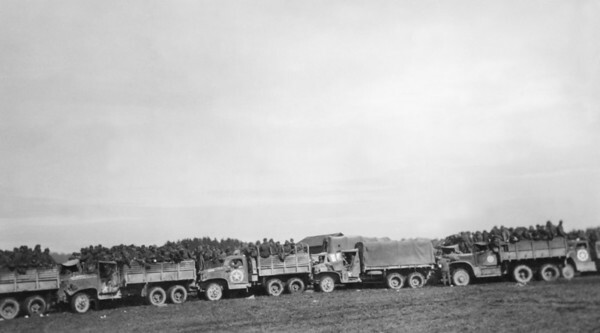 An American convoy transports German soldiers who have surrendered to processing areas.